Having your future home inspected for pests and dry rot is essential to making a smart investment. Wood-destroying organisms like termites, carpenter ants, beetles, and fungi can cause major structural damage if left untreated. Northbank Home Inspection performs Washington State certified structural pest inspections — pest and dry rot inspection — for homes in the Vancouver WA area and include the service for FREE with every home inspection. This inspection looks for wood-destroying insects such as, carpenter ants and dampwood termites, and rot (wood-destroying fungi). We also inspect the structure for conducive conditions that could help wood-destroying organisms thrive, which are common in the wet environment of the Northwest. If you’re getting you’re home inspected in Vancouver WA or anywhere in Washington state, always hire a licensed home inspector with a pest and dry rot license. While home inspectors in Washington state are not technically required to have a structural pest inspection license, it’s virtually impossible to perform a worthwhile home inspection without it. With a structural pest inspection from Northbank Home Inspection you’ll not only learn if pests and dry rot are present, but in your home inspection report you’ll have detailed descriptions of areas where conducive conditions are occurring. In addition to the report description, I’ll give you additional links within the home inspection report about how to manage these areas and recommendations on the type of professionals you’ll need to properly repair the situation. 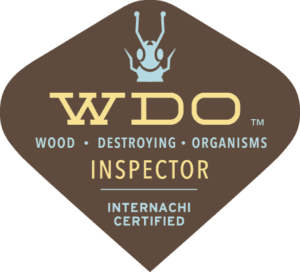 As a licensed home inspector (WA #1877) and structural pest inspector (WSDA #94289), I have specific knowledge of inspecting structures for evidence of wood-destroying organisms and their damage, as well as conducive conditions where they may thrive. Recognizing their damage is only one way to identify WDOs. I can also identify pests and dry rot through an understanding of their biology and behaviors. This is paramount to a quality inspection — many non-wood-destorying insects can be confused with structurally damaging pests. Correct identification can save you substantial stress and money. Your report will also be completely independent, something a pest management firm can’t offer because they have a financial interest in treating the structure. My only incentive is to give you the most complete and accurate information. 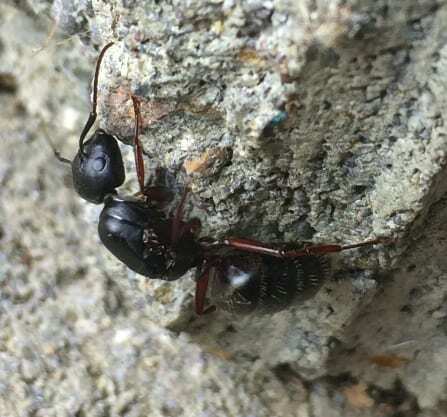 *While many of these pests and fungi are not indigenous and/or common in the Northwest, the global economy and a changing environment allows them to travel long distances and thrive in areas where they have not typically infested. Northbank Home Inspection conducts structural pest inspection in all of SW Washington including: Vancouver WA, Camas, Battle Ground, Washougal, La Center Longview, and the communities of Salmon Creek, Hazel Dell, and Brush Prairie.